Pokémon GO 0.49.1 for Android is now available. The company also released Pokemon Go update 1.19.1 for iOS. The latest update brings new features as well as bug fixes and other improvements. You can now transfer multiple Pokémon at a time to Professor Willow. A new Pokémon type icons have been added to the Gym battle approach and Gym battle screen. Check out changelog for more details. Trainers will be able to transfer multiple Pokémon at a time to Professor Willow. To use this function, press and hold on a Pokémon. Pokémon type icons have been added to the Gym battle approach and Gym battle screen. The total Candy count for your Buddy Pokémon has been added to the buddy information screen. The total kilometers a buddy has walked has been added to the information screen of each Pokémon that has ever been your buddy. Previously, the company made adjustments to the Combat Power of Various Pokémon. The CP (Combat Power) of various Pokémon adjusted. 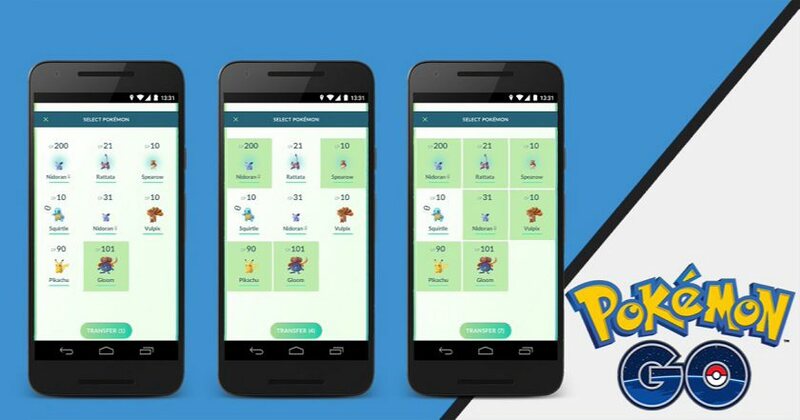 Some Pokémon, such as Alakazam, Rhydon, and Gengar will have their CP increased. Others will have their CP lowered. These changes will allow a more balanced and competitive battling and training experience in Gyms. You can download latest update from link below.